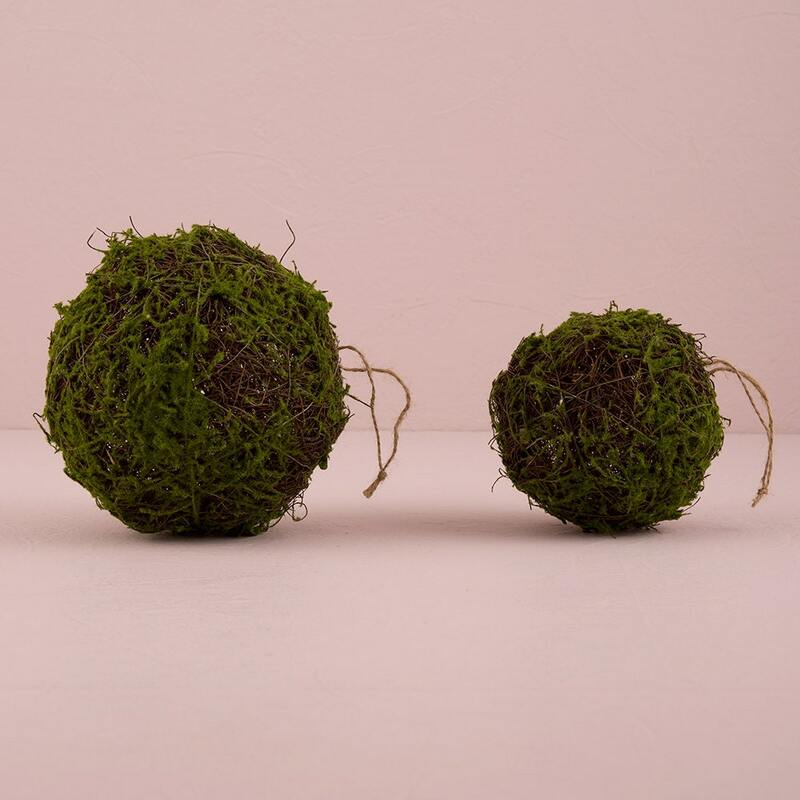 hanging moss balls set of 2 faux moss balls ideal for creating your own wedding and event décor. 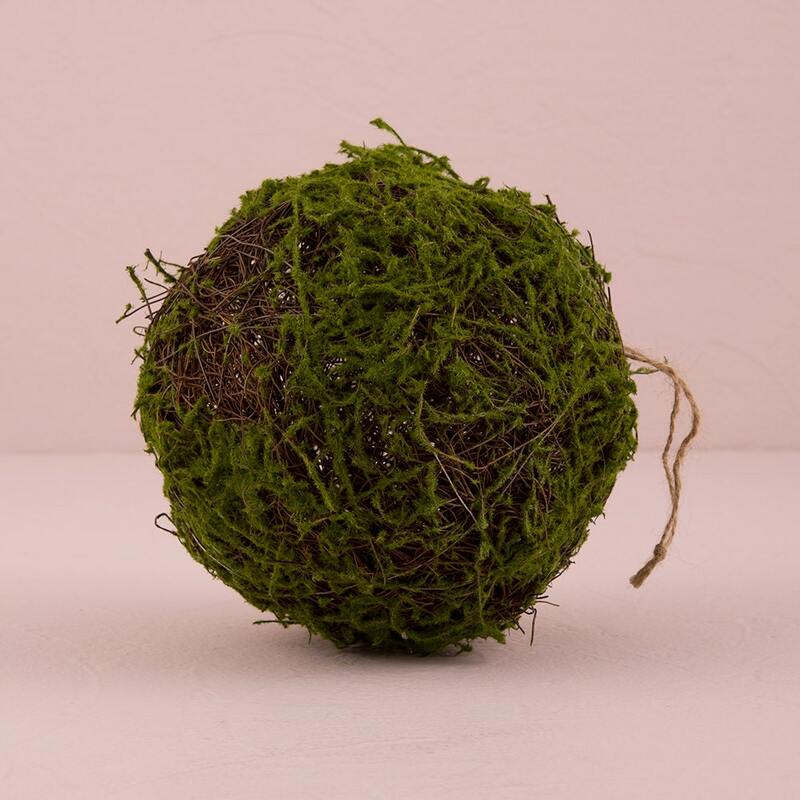 Choice of 2 eight inch wicker with faux moss balls or 3 of the 6 inch size faux moss balls. 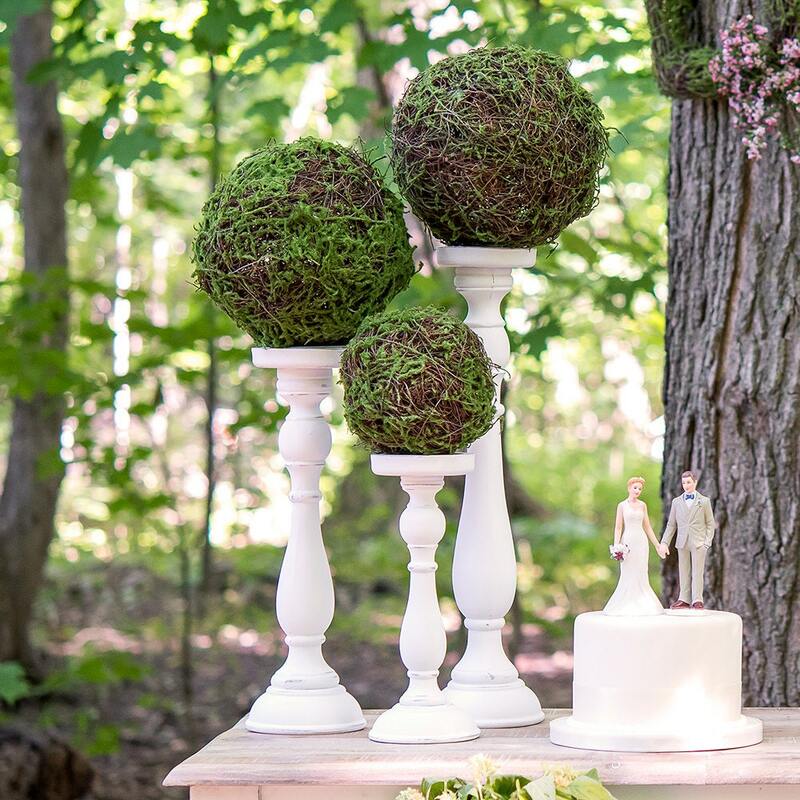 These pretty pomander balls (also known as wedding kissing balls) make beautiful and inexpensive wedding decorations. Use to adorn pews, your reception décor or as a ready-made hand bouquet. 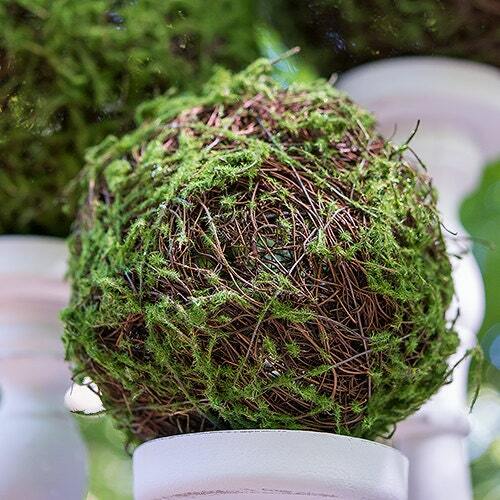 Perfect for woodland weddings, these faux moss pomanders can be combined with other decorative elements or perched on unique stands for a truly impressive look. If you need a specific number and would like custom listing made please convo me. PLEASE NOTE: Other items shown in photos are for product ideas of use and display only and are not included with your purchase of the 2 eight inch size of 3 six inch size faux moss and wicker hanging balls. 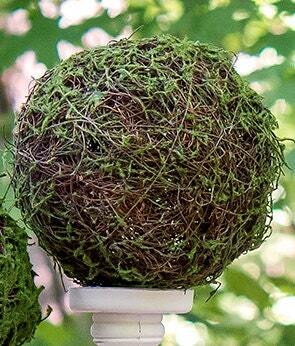 Lovely woodland hanging kissing ball.